I'm excited to announce my presence at Indiana Comic Con this weekend of April 14 - 16. 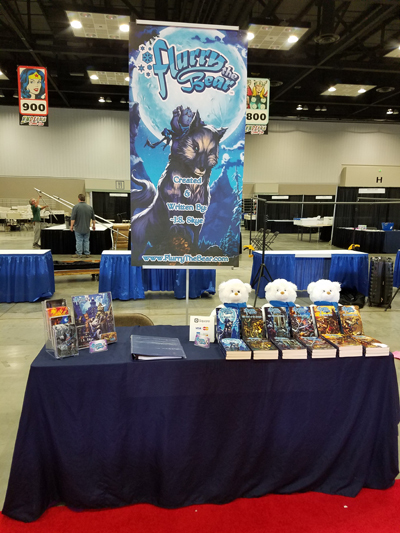 Stop by the Indiana Convention Center and get the latest Flurry the Bear novel and get your books signed. There are special deals and discounted prices to be had this weekend only! I'm pretty easy to find. I'm literally right below the giant E sign hanging from the ceiling over on the red carpet. E as in epic! Hello, again. Yes, I'm still around. In fact, a lot of activity is going on behind-the-scenes. I'm very excited to share it all with you, but you'll have to wait a little bit longer. I'm pleased to announce I'm finished with book #6. It was more challenging than my previous books, but then again I think that with each book. I can't wait to reveal the cover and the title to everyone soon. Don't hold me to this, for there are always twists and turns in life, but it's my hope to have book #6 for sale by late November. It should be just in time for Christmas. Book #6 will officially mark the halfway point in the novel series. A lot changes in Flurry's life, friends, and world. It's a must read! Today, I created brand new desktop wallpapers, computer icons, and avatars. I think they look amazing! They're all FREE so head over to the GOODIES tab and download all of them you want. There will be more coming later. The Kickstarter project is still on the horizon. My team and I plan to re-launch soon. We have A LOT of cool new artwork to show off. The artists have been hard at work making some incredible stuff. I can't wait for the reveal. I'm also working on a book named Flurry the Bear - The Compendium. What's that? Pure awesomeness! More news to come later. As you may all be aware, Flurry the Bear will be at GenCon this year. It's Flurry's first time, so stop by and say hello to him. The little cub likes the attention. In preparation for the convention, I've been hard at work making special props for the table. 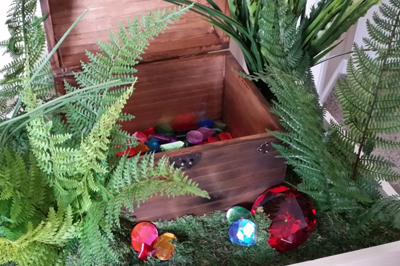 The treasure chest will be filled with FREEBIES for visitors. What will the freebies be? You'll have to come over and find out. I guarantee they'll be pretty sweet! 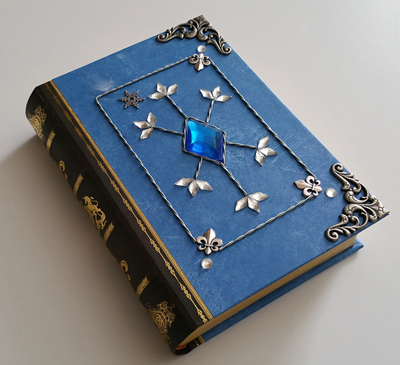 The second prop is a replica of the actual Book of Snow, which Flurry's 4th novel is named after. It's to scale and is a pretty decent replica. Some images can be seen below. 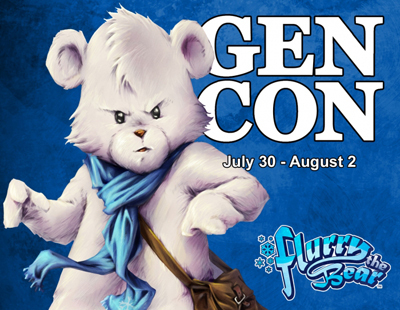 I'll be at GenCon this month with Flurry the Bear. I'll have novels 1 - 5 along with The Chronicles of Flurry the Bear. I'll even have a few special things at the table. Stop by and pick up a copy of Flurry's adventures while the supplies last. GenCon is being held at the Indianapolis Convention Center in Indiana from July 30th - August 2nd.